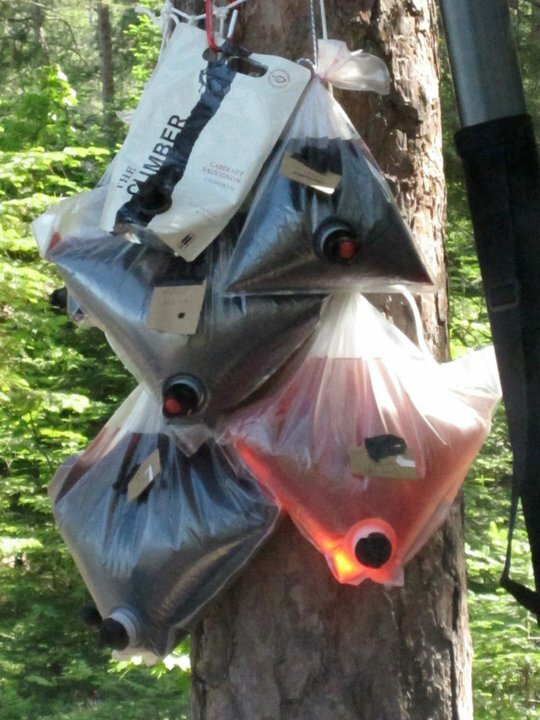 Several years ago, taking the suggestion of a friend, I decided to bring a box of wine with me into the woods for an extended camping trip. This came after many years of choking down luke warm beers and cocktails. It is nearly impossible to keep anything cold for more than a few days in the summer heat. I have long been a fan of red wine, and substituting it as my back-country adult beverage perfect sense to me since it is normally served at room temperature. This is not a new innovation, it just took me a while to get on-board. 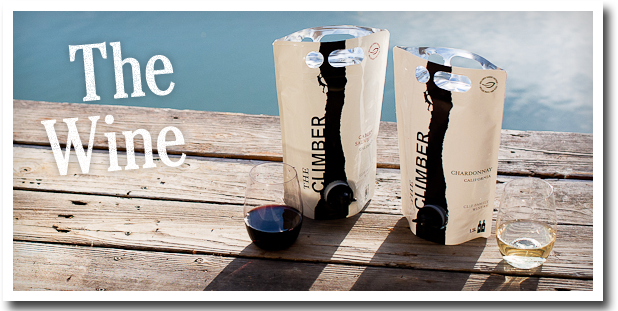 The folks over at Clif Family Winery (Yes, the same people as the legendary Clif Bar) took it even one step further. Available in both Cabernet Sauvignon and Chardonnay, there is an option for both the Red and White drinkers. Our BWCA gear test each June is not a small group, usually 6-8 guys. So we consume quite a bit of everything. This year we brought a substantial amount of wine for our nearly week-long adventure. The favorite, by far, was the Clif Cabernet. As you can see by the "Wine Bar" we set up on a tree near camp, we had several options to choose from, but we polished off the Climber Pouch within 24 hours of setting up camp. Easier to carry and a more manageable size than your traditional box wines, the climber pouches are brilliant. The wine is well above average and makes most box wines pale in comparison. If I was to find a negative for them it would only be price. At $17 for a 1.5 liter pouch, you are quite a bit higher than the other options on our tree, but you get what you pay for.